Our Heart is set on Saving Lives. If you or someone you love smokes or suffers from high blood pressure, high cholesterol, diabetes, shows signs of cardiovascular disease, coronary heart disease or any other heart problem, it’s good to know there’s a place you can rely on for world-class cardiac care, that place is Caribbean Heart Care Medcorp Limited (CHCm). We are a full-service Cardiac Care Centre established in 1993 with the goal of making open-heart surgery and advanced heart care immediately accessible to cardiac patients in Trinidad and Tobago and across the Caribbean. Since opening in 1993, CHCm’s team of local and international heart surgeons have saved the lives of thousands of patients including children who have had open-heart surgery and other complex cardiac surgical procedures. Over 7,000 patients have had life-saving Angiograms and or Angioplasties performed by our experienced Cardiology Department. We have also diagnosed and successfully treated over 20,000 patients.Some are our own patients while others have been referred to us by their physicians, other hospitals, clinics, as well as those who have simply walked in for cardiovascular consultations and investigations. CHCm’s Vascular and Endovascular teamtreats patients with lower limb arterial diseases resulting from diabetes in order to prevent the possibility of amputation. Our Neuro-Radiology team is by far the most experienced in the Caribbean for the treatment of Brain Aneurysms; a cause of sudden unexplained death/hemorrhagic stroke. We have Interventional Radiologists who have been assisting in the fight against cancer with procedures such as chemo embolisation, tumor embolisation, bile duct drainage and stenting together with various minimally invasive procedures that were previously performed under open surgery.CHCm’sCardiac Electrophysiology Unit has also enabled patients with heartbeats that are too slow or too fast (arrhythmia) the benefit of pacemakers and radio frequency ablation. This procedure can cure patients who suffer from heart arrhythmia a condition that causes dizziness, fainting and sometimes great discomfort. CHCm, has been providing heart care for decades and continues to provide quality care to the citizens of Trinidad and Tobago. Patients’ Success is Our Success … and much of it is attributed to the experience and expertise of CHCm’s team of Heart Surgeons, Cardiologists, Interventional Cardiologists and Radiologists, all of whom have been trained internationally. Our long history of repairing hearts and saving lives has made us confident enough to claim that we are the most experienced heart care facility in the Southern Caribbean. 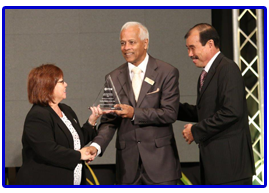 In 2013 CHCm was presented “The Service Provider of the Year Award” by the Trinidad and Tobago Coalition Services industry. We are the only private institution providing pediatric cardiac catheterization in the country. Over 96% of our CABG surgeries are done off pump. That means that the heart is not stopped nor taken over by a machine while doing the bypass. CHCm is the only cardiovascular centre in the English speaking Caribbean to perform over 5,000 open-heart surgeries including pediatric heart surgery (400 procedures in 2012). CHCm’s Interventional Cardiology Department has performed over 8,000 life-saving angiogram and angioplasty procedures on patients with heart attack symptoms since 2005. In 2012 CHCm did 250 Coronary Artery Bypass Graft surgeries (CABG) at the, Eric Williams Medical SciencesComplex in Trinidad and achieved 0% hospital death rate (0% mortality). CHCm is the only centre with extensive experience in performing emergency heart surgery on adults and elective heart surgery on children with life-threatening heart conditions. If you think you are at risk or having a heart attack, CHCm is the only local Cardiac Centre with 24-hour emergency heart surgery as well as 24-hour emergency cardiology services. The only Cardiac Centre capable of performing cardiac catherisation on pediatric patients. We are the first cardiovascular team to have performed a brain, heart and lower limb procedure in one day on three (3) different patients. We perform intervention via the radial artery technique, hence patients spend less time warded and can be discharged within three (3) hours. Since 1993, over 97% of our adult patients left hospital with a second chance at life, after having heart surgery performed by CHCm’s internationally trained and qualified surgical team. CHCm’s success rate for adult heart surgery equals and in many cases is even better than the world’s leading cardiac treatment centres. CHCm is the oldest Cardiovascular Centre in Trinidad and Tobago, with over 20 years of service. Since 1998, over 97% of the children whose heart defects were surgically corrected by CHCm went on to lead happy, healthy and productive lives. The first Thoracic Aortic Endovascular Implant Surgery was performed in Trinidad by CHCm’s Interventional Cardiologist in 1998. CHCm now performs approximately 400 heart surgeries every year, giving our patients renewed hope of leading longer, healthier, more productive lives. Thousands of CHCm’s patients have benefitted from the surgical expertise of world renowned heart surgeons who work alongside our foreign trained and qualified local surgical team. Thousands of patients discover that they have treatable heart or cardiovascular conditions because they chose to have CHCm’s comprehensive cardiac health check up.